Our short films George Jones and the Giant Squid and This is Perth will be screening at the Wave Rock Weekender this weekend. Over two days and nights the festival features a line-up of about 20 Australian and international music acts; 10 or so feature films and documentaries; cheap food and drinks; a 50m round, 6m deep therapeutic salt pond, plus more. 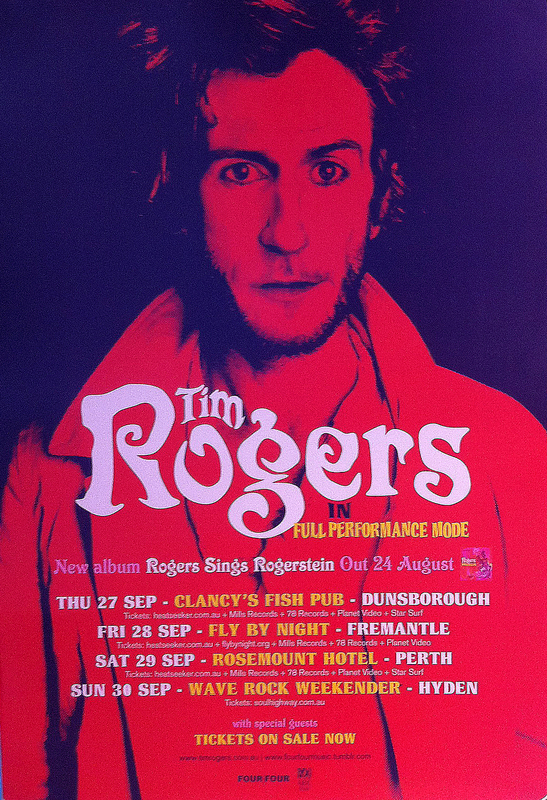 If you’re there, check out the Old Bertie double-header in between some great acts, including a personal favourite of ours, Mr Tim Rogers of You Am I.